It’s hard enough finding the time to shop during the holiday gifting season, so when we finally do we can’t afford to lose time stressing over the perfect gift. 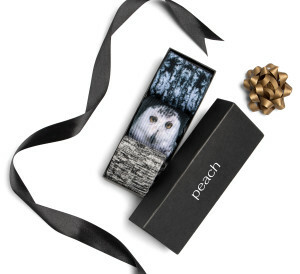 Peach made gifting a whole lot easier! We’ve broken down the best holiday gifts for all the women on your list based on their lifestyle, so you’ll be able to find an incredibly personal gift with minimal effort. Just add to cart and rest assured they’re going to love it! Our versatile Ruana made in a luxe cashmere/wool knit blend. Women on the move know that comfort is key- especially at the airport. Give the traveler in your life the gift of travel-friendly layers with our lightweight, seasonless Ruana. Roll it up and toss it into a carry on or wear it right through security for everything gym, work and play. Constructed in a luxe cashmere/wool blend and one size fits, it’s perfect for thoughtful, stress-free holiday gifting. Trust us, she’ll be wearing this new favorite long after she’s landed! The easy and stylish Sophia Sweatshirt. Since most of her days are spent running around with the kids, she gravitates toward easy no-fuss style, which is why she’ll absolutely love the Sophia Sweatshirt. Not only is it ultra-soft and cozy, but it’s luxe silk drawstrings, funnel neckline and hi-low hemline provide maximum style with minimal effort. This is a no-brainer when it comes to a great holiday gift! The No-Show Sock Pack packaged and ready to gift. A great fitness routine starts with the basics- and so does your workout wardrobe! Our No-Show Sock Pack features three pairs of socks with a clean low-cut fit, silicone grippers to hold them in place and an intricate mesh knit for added ventilation. Whether she’s prefers yoga classes or strength training, these socks are must-haves and come packaged in a premium black holiday gift box. Our chic Faux Fur Scarf is a must-have winter accessory that adds function and fashion. No matter what she’s doing, her style game is always on point which is why the Faux Fur Scarf makes the perfect gift! This luxe faux fur will add the finishing touch to any of her looks- from sporty style and warmth on the slopes to a glam holiday look draped over her shoulders. Classic and versatile she’ll have endless possibilities with this must-have winter accessory. Our Nordic Sock Pack features three cute and cozy styles perfect for the cold weather. She is all about taking that “me-time” to recharge and refresh, so she’ll absolutely love this cozy, seasonal Nordic Sock Pack. They’re perfect for curling up at home with a good book and a face mask, but also look great worn with boots for every day. These three pairs each come in a different print and are packaged in a premium black gift box to make checking off your holiday shopping list so much easier! Unique hand-knit hats from French Knot. These are not your average winter hats. Hand knit by women artisans in Nepal and each uniquely their own, these three incredible styles feature hand-beaded embellishments, intricate knit designs and cozy pom poms. But not only are they made with a focus on time honored craftsmanship, knitwear brand French Knot also responsibly sources all materials and works to create stable and rewarding job opportunities for their artisans. The changemaker in your life is sure to love the product and the incredible impact it’s making on the world. 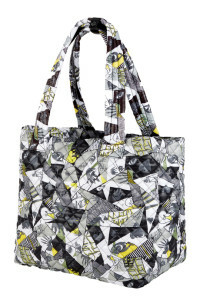 The Wingwoman Tote is the perfect everyday for gym, work and play. Every woman needs a great everyday bag in her arsenal, especially as she builds an empowering and inspiring career for herself. Lightweight, washable, and with enough compartments to store everything she’ll ever need- It doesn’t get better than The Wingwoman Tote by Oliver Thomas! It’s unique pattern named Broken Glass, serves as a reflection of every person breaking their own glass ceilings to achieve whatever they find meaningful in their lives. Look closely and you’ll see an evil eye to help ward off any bad spirits while on their journey, a light bulb as a reminder that great ideas come from anyone, anywhere at any time; and a heart because they truly have to surround themselves with amazing people that believe in them. Talk about a personal and thoughtful holiday gift! Give the gift of style with a Peach Gift Card. Whether you want to give the women on your list the power to personalize their gift or you’re running behind on holiday shopping – you can’t go wrong giving her the gift of style! A Peach Gift Card is perfect for everything from small seasonal gestures to the shopping spree of her dreams! Plus, you’ll receive it almost instantly in the form of a printable e-gift card! Shop the Holiday 2018 Gift Guide here. Shop our latest collection here.